Our aim: educate, enlighten & inspire. 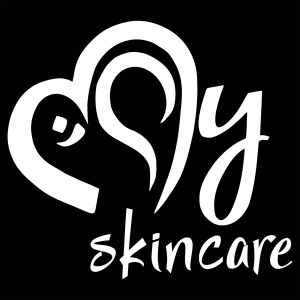 My Skincare Pty Ltd is a female-owned skincare company combining race and ethnicity in South Africa into a wonderful ying-yang of unity, collaboration and trust. We strongly believe that there is no other company like ours as we don’t hide anything and wont hide anything and our integrity is of utmost importance. The world has grown into one of greed and selfishness and as a company we want to move away from the common misconceptions that true quality comes as a ridiculous price or that aspects need to be hidden from consumers to ensure they carry on buying our goods. We desire to educate consumers about ingredients, what is good and not so good because it seems many companies out there are wrongfully promoting their goods as something they are not. We believe in 100% honesty, transparency, love for humanity and our world (marine, air and land life). There is no such thing as Chocolate, Strawberry, Kiwi or any other essential oil which would have the same scent as the pulp of a fruit. Essential oils are derived from skins / rinds of fruits (citrus), bark (Patchouli, Petigrain), tree sap (like Frankincense, Sandalwood) and flowers (Rose, Jasmine). So one thing to keep in mind if you see advertising of “all natural”, “no chemicals”, “no synthetics” but the products contain Strawberry, Kiwi, Chocolate “essential oils”. That’s false advertising. Your skin is your largest organ, covered in pores which absorb nutrients, chemicals and preservatives. You need to be aware of ingredients to look out for if you wish to protect your skin. Studies show that parabens are present in cancerous tissue when removed and studied. How do parabens get into your body in the first place? Body lotions and creams contain them. They are known to cause breast cancer, infertility and promote skin ageing. They are wonderful preservatives and can extend a shelf life to 3 years, but look at it like you would food… if you kept food for 3 years, what would the nutritional content of that food be by the time you consumed it? No thanks, keep it fresh. Quaternium-15, DMDM hydantoin, imidazolidinyl urea, diazolidinyl urea, polyoxymethylene urea, sodium hydroxymethylglycinate, 2-bromo-2-nitropropane-1,3-diol (bromopol) and glyoxal. These preservatives are either formaldehyde based or formaldehyde releasing ingredients. Formaldehyde is a known carcinogen and skin irritant. Smaller quantities are presumed to be safe, however prevention is better than cure. Or as the other saying goes, “rather safe than sorry”. Silicone gives the appearance of plumping out or minimizing of wrinkles and leaves the skin and hair smooth and shiny. Why use a chemical one when you can use a natural one? Broccoli Seed oil is completely natural and organic and serves the same purpose. Fragrance oils, otherwise referred to on an ingredients list as “fragrance”, “parfum” and alluding back to the ‘fake’ strawberry and kiwi essential oils. These are known to be chemically derived and thus can irritate your skin and senses. The actual ingredients which the fragrance is comprised of are never specified so there is no way to know what you are consuming. Synthetic fragrances are known to cause bloating, muscle pain, fatigue, sinus issues, headaches and so many more unwanted side effects. Rather stick to 100% healthy plant derived essential oils only. Beware of Lanolin alcohol, benzyl alcohol, ethyl alcohol, ethanol, denatured alcohol, SD alcohol, methanol and isopropyl alcohol. Alcohols are skin irritants and cause evaporation and loss of hydration (dry out your skin). Have you ever noticed the skin and appearance of an alcoholic? Does it look healthy, youthful and taut? So why put them into a cream, face wash or body lotion? To counter the effects of the product itself so you have to use more and consequently buy more thus enriching the product manufacturer. But then moving onto lanolin alcohol… lanolin comes from the sebaceous glands of ducks. We’ll just park that there. Extract from www.ewg.org “Gelatin is a product obtained by the partial hydrolysis of collagen derived from the skin, white connective tissue and bones of animals”. A common ingredient in products throughout South Africa. Definitely not vegan. We disclose everything. Our ingredients listed are our ingredients used. Perhaps our labels may sometimes be outdated but our website www.myskincarecoterie.com will always carry the up-to-date factual information. We only use essential oils for fragrance. NO synthetics. Our preservative is food grade. Due to this however there will be the odd person here or there that has a mild reaction to it, some redness and itching, in some cases it feels like you have a severe sunburn but the effects go away generally within an hour or two. In this case, please don’t use the product, contact us or pass it on to someone who will utilize it instead. There is also no such thing as “dermatologically tested”. No one product is suitable for every single person. You win some and you lose some. We receive plenty of backlash about claiming to be environmentally friendly but still using plastic packaging. We are in the process of migrating away from this but until that shift is completed, please be patient with us. For the time being please note that all our plastics are recyclable and PBA free so for those who care for their skins & the environment and purchase our products, please recycle. We’ve heard you and we’ve got your back. If you have any questions, concerns, ideas, requests please let us know, transparency is our goal! From us at My Skincare HQ, love and look after you! Next Post Body Scrubs… Why? and How?